Interswitch pioneered a digital payment processing sector in Nigeria. It remains the category-king today. But its business is challenged by amalgam of startups, banking institutions and innovators looking to create value in what is becoming an exciting growth industry in the country and the whole of Africa. As noted when Helios, a private equity firm, invested in the firm, it was at the forefront of the digital payment sector. 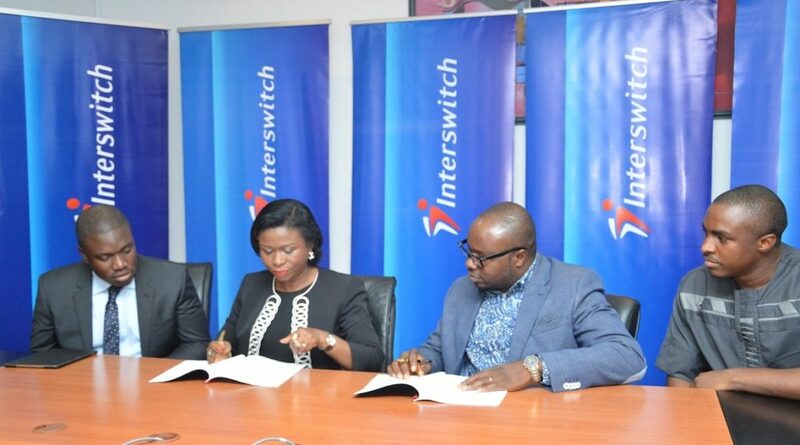 In December 2010, an investor group led by Helios agreed the acquisition of a majority equity interest in Interswitch Limited (“Interswitch”), the largest payment processing service provider in Nigeria. Interswitch has been at the forefront of the development and growth of the e-payment sector. The firm offers integrated message broker solutions for financial transactions, e-Commerce and e-billing solutions, telecoms value-added services and payment collections solutions. It also administers Verve, Nigeria’s leading debit card scheme. In March 2017, TA Associates acquired a minority interest in Interswitch; Helios remains the majority shareholder. A brilliant company, founded by a Nigerian entrepreneur, Mitchell Elegbe, who saw an evolving opportunity and took action. The firm has become synonymous with digital Nigeria. It has had its moments over the years, and continues to drive Nigeria’s quest to digital payment future. But it is not alone. Competition is mushrooming daily across the African continent and beyond. I first came into business contact with Interswitch, when my team in Owerri noted that we needed to send N150,000 (about $1,000, using then exchange rate) bank draft to GTBank, in favour of Interswitch, for us to link StartCrunch.com (since failed crowdfunding website) for payment integration. It was a very huge amount just to have the opportunity to receive payment online. I explained to the team that it was too much. But they noted that, there was no other way, to link the site to a local payment ecosystem without Interswitch. We made the payment. Demanded expensive development time instead of copying and pasting as is done with PayPal and leading payment processing companies. Required Interswitch staff to have access to Admin of the site to check that everything was fine. That was the product weakest link as when they asked for the password, my team laughed. Possibly, this company was not getting many sign-ups. Otherwise, they would not be doing that, at scale. The second reason above extended the time to market as Interswitch was not even available to check whatever it wanted to check in the site. It took days to finally get the staff to check. GTBank was patiently coordinating this as the integration was going through GTBank. Everyone was frustrated including one of the finest banks in West Africa. The international facing payment integration with PayPal took 4 minutes: we just generated the code and added to the site. Interswitch took more than 6 weeks as the bank draft was issued in GTBank Owerri and they had to send it to Interswitch in Lagos. We asked: why not just ask us to pay into Interswitch bank account? No, the company wanted bank draft. MONOPOLY POWER is bad for humanity. Simply, with easy profit margins, Interswitch became lazy and was unable to innovate. 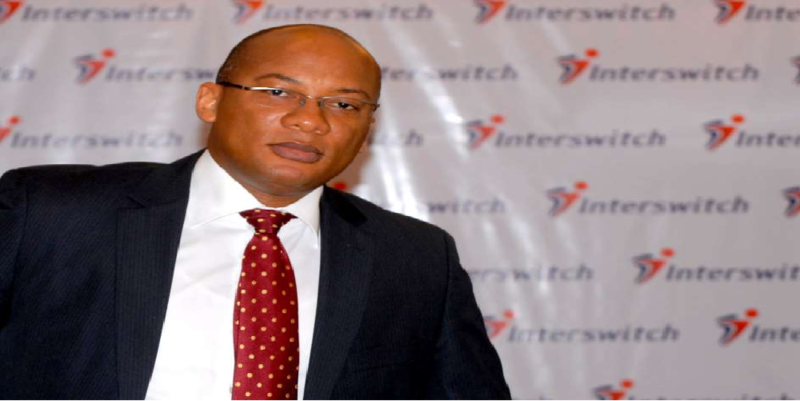 Every product offered then by Interswitch was anchored on the premise that it was the only vehicle to connect companies online for payment, in Nigeria. You either take whatever you get or you stay offline. When we connected to GTPay, the company also needed to be supported by Interswitch. So, from banks to startups, Interswitch ruled the market. A one-product company, at its best, with many other things (electronic health records, etc) all linked to it, it had its moments. But today, the power of monopoly is ending because with Stripe, PayPal, Flutterwave and Paystack, there are many options now, to a degree, locally. Unfortunately, in some cases, Interswitch has to pursue what some of these companies are doing, but now from behind. Strategy: Working to be at the edges of the smiling curves, making it possible that it can have the best value created. It is a big company and it can support any person. However, the strategy has not really been supporting small companies which cannot generate decent revenue. Unlike the free cash it could get from these companies in the past, it needs to find a way to serve them, without the free cash. This makes it challenging because its cost model is not wired for such. So Paystack is already growing and most banks are eating deep into the market share. It has to adapt fast. The Product: Interswitch product is simply to help companies participate in digital payments. From outside, it looks simple, as it provides services to banks and companies. However, as some of the banking institutions look for alternatives, even as Visa and Mastercard arrive, Interswitch will lose its firm grips in the nation. It will have to develop a new product – partnership – relying heavily on its best feature which is its size. Today, Interswitch has figured that out and is working with Visa, FuelVoucher and other companies. It is now evolving as a partner-company and that is a good thing. Visa, the credit card company, and Interswitch, Africa’s integrated payments and transaction solutions company, announced news on Friday (June 30) that they will partner to accelerate mobile payments adoption across the region. 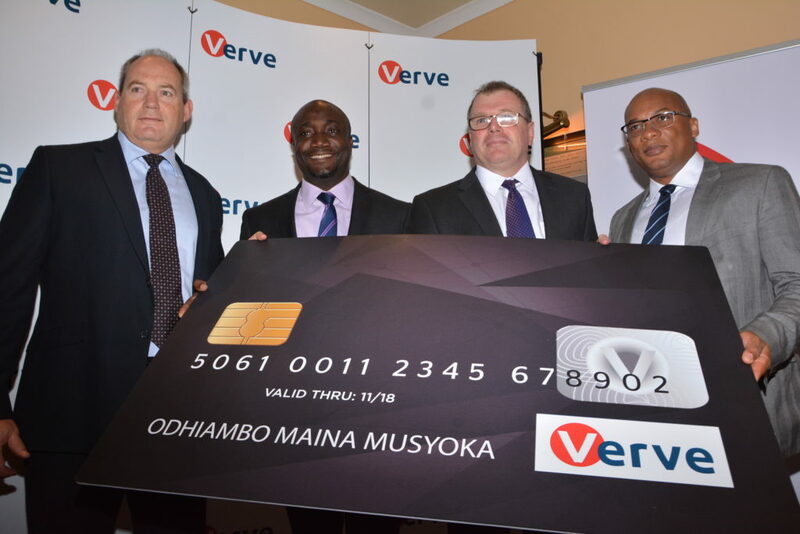 In a press release, the companies said the partnership will see Visa and Interswitch upgrade the digital banking applications of leading banks to include mVisa, as well as enable more merchants to accept mVisa payments. Interswitch will work very closely with Visa in selected African markets across West and East Africa to develop a Merchant Management Platform to receive Original Credit Transactions (OCT) from Visa, as well as app-based merchant enrollment solutions, which enable minimum Static QR code functionality. Simply, Interswitch cannot be the Visa for Africa anymore, which is good, for it. It simply shows the intense power of choices. So it has to find ways to partner for new sources of growth. It can see its brand permeate Africa because that humility that comes post-monopoly will make it to compete. Interswitch Quickteller is a secure payment gateway, which allows your customers pay for goods or services from different channels such as your website, ATMs, QuickTeller website, and the QuickTeller mobile App. For payment, the cards accepted include Verve Cards, MasterCard and MasterCard Verve. Webpay is InterSwitch’s secure online gateway with which you can accept payments only on your website, using Verve Cards, MasterCard, MasterCard Verve and VISA. WebPay also processes International MasterCard acceptance, however, your bank has to be able to process International payment before international payment can be accepted on the site. Also, looking home in Nigeria, it missed another opportunity. As I explained, if the company had not adopted the N150,000 initial fee, many people could have signed up to its system. Not many people had the money and for those that had, the cost was high when there was no empirical data on if the business would work, digitally. Imagine if it had followed the PayPal model, nearly every site in Nigeria will be Interswitch-first. But with initial fee, as not many could afford nearly $1000, few cared. In coming years, I expect more choices in the region, meaning that Interswitch will see further erosion of its grips on e-payment. Some banks like GTBank will begin building their own infrastructure since the future of banking will be digital and they can decide to own the assets. As this happens, Interswitch will begin to win by becoming a preferred partner with global corporations who are interested in the Nigerian and African markets. The deal with Visa is a sign because it simply means that Interswitch will prefer to help accelerate mVisa great product, over developing and pushing its own product to the banks. With its pedigree as a local digital payment pioneer and working with Visa, the firm can break more grounds in Africa. This means, its size, being BIG, begins to work for it. That is one advantage of a former monopoly: SIZE. And on post-monopoly, a very smart management will find how to use that size as it redesigns the business. That is what the leadership is doing. It can get great deals from Visa, Mastercard and other global firms because they know it has the scale and experience to execute, in Africa. The startups may be innovative but most do not have presence needed to support banks with all the compliance issues. Locally, Interswitch will transmute into a partner-company that works with partners to deliver its solutions to more customers. Doing this will mean not collecting the old fees that stymied its growth. Improve its products. Integrating with Interswitch technology is unfortunately difficult. Sure, it has built the SDKs but its product usage is light years behind the industry best like Stripe. It needs to improve them to make it easier for developers to integrate. Deepen the African strategy: As it works with Visa, the opportunity must not just be banks but also SMEs and startups. Build Better Primitives: It can get ahead in many ways if it invests in making primitives which can help developers find its ecosystems to be more useful in Africa. It has the resources to do this than competitors. Balance growth and profit: The initial model of charging huge initial fee made sense, but under intense competition, the real winner will be any player with network effect. So, the firm must balance profitability and growth: Verve has to be popular to have any value. Everything will depend on the attitude of the firm. It can dance even as an e-payment elephant, relatively, at local level. It cannot be obsessed with profitability as a digital company at this level of infancy. It has to focus on growth; profits will come. If it can cure itself of the love of fees and huge margins at the expense of growth, which is very critical for a digital company, it will return back to its glorious innovative past which won Central Bank of Nigeria and all the banks to adopt it as platform of choice. It is a great company and one that has moved Nigeria forward in many ways. Interswitch can do it as it is peerless in what it does, in the region. An objective assessment of interswitch and their evolving position in the industry. A very useful and enlightening read. Great work! As an aside, please correct the following : round up – means to arrest or apprehend crime suspects. While, Round-off- means that you are now about to summarise and conclude a talk or write-up. I finally found this article…Thanks Prof.